When Arizona State University (ASU) Online students hit the biology lab, they head to their locker, don a lab coat and gloves and start following through on the exercises they've been assigned, perhaps taking blood samples from basketball players to measure their blood glucose levels, using confocal microscopy to help a farmer save his crop from a mysterious plant disease or sequencing DNA. Except these students haven't left their own study spaces. They're tackling these activities through virtual reality, which means they can take as long as they want, repeat the activity multiple times and get feedback from the software when they get something right or wrong. The VR project is a joint effort involving the university's School of Life Sciences, education VR development company Labster and Google. Currently, 30 students in a general biology course are using school-provided $399 Lenovo Mirage Solo VR headsets to finish their lab requirement. (The software runs on the Google Daydream View headset as well.) Students can also use their own VR headsets or access the content on their laptops, as the other 370 students in the same course are already doing. For the next round of classes starting in October, the university will make a total of 140 headsets available for students to borrow. And, according to Labster, ASU will also launch its first fully online biology degree. This degree will use 30 Labster VR simulations in cellular and molecular biology, ecology and animal physiology. After putting on the headsets and earbuds, students use a controller to maneuver around the lab, which is on a Google operating system called Daydream VR running a Labster Daydream app. The content is accessed through students' Google accounts. The lessons contain scenarios with multiple-choice questions. And the visualization shows a student how he or she is doing and offers feedback. Users can zoom in and view life science at the molecular level, and alter time to speed up or slow down an experiment. 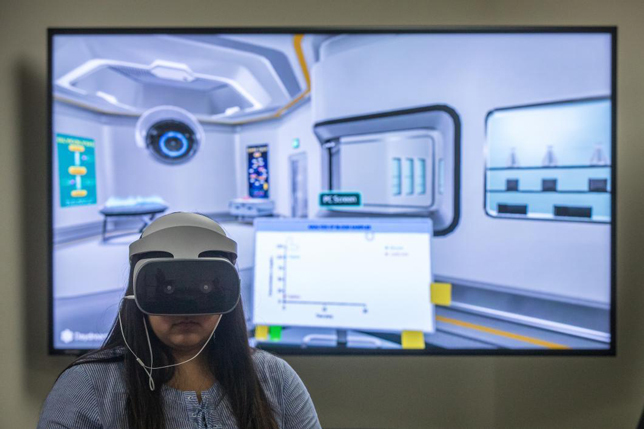 According to Amy Pate, manager of instructional design for the School of Life Sciences, VR could be a boon to lab-oriented studies, whether they're taken on a campus or done online. "We always talk about it in terms of the online classroom, but even some of the labs we do on campus have a limited number of seats or it only runs once a year," she explained in a university article. "The virtual side of things can get more people into the lab." Pate worked with a Labster team this summer to uncover glitches and test out the technology. "These are custom labs that are truly ASU content, developed by ASU biology professors and assessed to meet our standards," she noted, adding that the courses also use Labster content. The pilot test was run to validate the content of the labs and make sure learning objectives were covered. According to a blog post by Google Program Manager Courtney Hampson, the University of Texas, McMaster University (Canada) and others will soon offer the labs as well. "Students will also be able to do some things in a virtual lab that wouldn't be possible in the physical world, like viewing and manipulating DNA at the molecular level," she wrote. 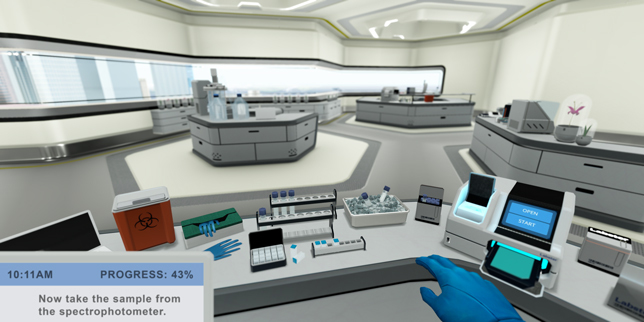 More information about the VR labs for biology is available on the Labster website.